Dr. Paul Carrette is our Senior Pastor. Along with his wife First lady Eulita, he has led the church through a season of tremendous growth and transformation, restoring lives and reaching out to the community. He is also the founder of The Waters Community Development Corporation, a non profit entity seeking to improve the lives of disadvantaged families in Oxon Hill and surrounding communities. Pastor Carrette has been a student of the bible since he entered Christ for the Nations Institute (Dallas, Texas) In 1984. Since then he has studied at Global University, and Trinity College and Seminary. He is also a former school administrator and author of the award winning book "Raising Godly Children." Pastor Carrette is a frequent speaker at several leadership and other specialized conferences. He is the host of an annual "Kingdom Builders Conference", a special event intended to train church and ministry leaders. He and First Lady Eulita, has been married for over 30 Years and have been involved in ministry all their married life. 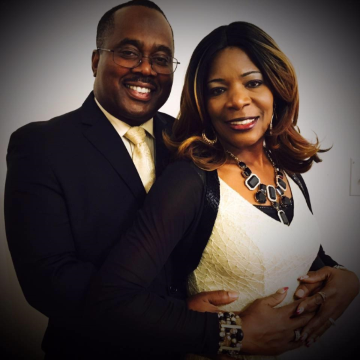 Our First Lady serves faithfully alongside her husband as the Assistant Pastor and Director of the Women's Ministry. She is also the current Women's Ministry Director of the Mid Atlantic Conference of the International Pentecostal Holiness Church. She speaks at various women's events throughout the year and is the host of the annual Mid Atlantic Women's Conference in Hagerstown, Maryland. Their three girls are currently pursuing their academic goals while serving faithfully in the multi media/music/ dance ministry in the church. For speaking engagements, please contact Anika Royer at colwexecasst@gmail.com or (301) 894-6464.